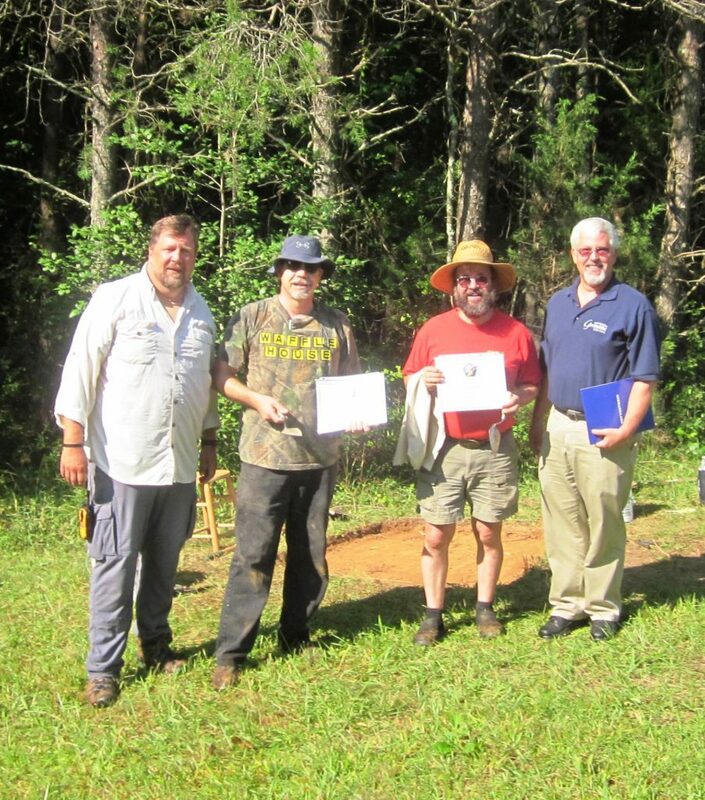 Craig Wolford (center right) and Gil Kenner (center left) received their certificates of completion, trowels, and “I Dig Germanna” T-shirts for successfully completing our first I Dig Germanna Archaeology Workshop 18-20 July from Dr. Eric Larsen, Germanna staff archaeologist (l) and Germanna COO Steve Hein (r). Working under the supervision of Dr. Eric Larsen and Assistant Field Director Amelia Chisholm, Gil and Craig joined our other seasonal staff, and 9 students from VCU participating in the field school at Germanna, and definitely earned these small tokens of our appreciation while learning more about archaeology and Germanna in the process. Thank you Craig and Gil!